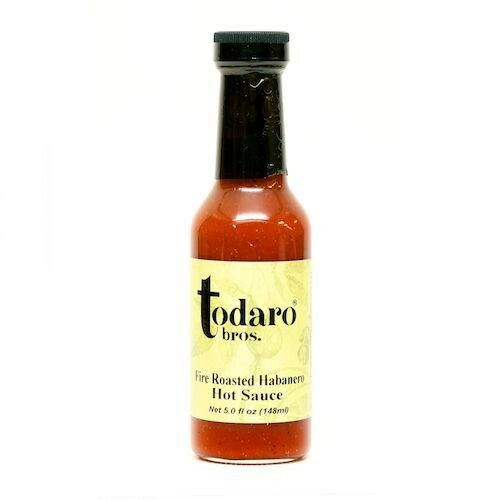 Todaro's Habanero Hot Sauce will give a delectable gourmet kick to any dish you add it to. Made from an all-natural, classic recipe using fresh habanero peppers, garlic and fine spices blend into a fresh, flavorful sauce. You can spice up any kind of meat or salad, or give your guacamole a zesty touch by adding this one of a kind sauce.